The Most Original Leather Safety Cat Collars (5) - Superpipapo: In Style with Your Pet! 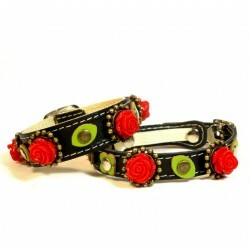 An original cat collar with beautiful red roses in ornaments and green leather leaves on black leather. Your cat will be famous with this design!